Well its a New Year again 2014 just a reflect back on our last graduation Term 4 2013 we graduated 6 people. It was held at REAP House we had our students plus a couple of guests our new Mayoress Lyn Patterson plus our MP John Hayes it was awesome our Mayoress spoke then one of our students got up to finish it off. 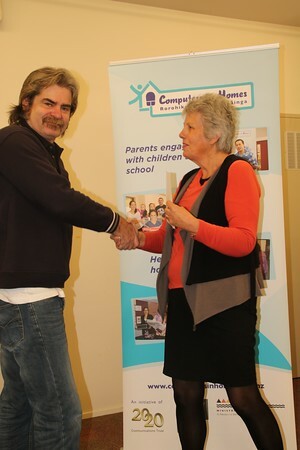 The last NCCG for CIH conference for 2013 was held in Masterton, it was absolutely awesome. We had our dinner at REAP House with entertainment from our Samoan Community. It was lovely then the next day to finish our conference off we surprised them by taking them somewhere. The Wairarapa is well known for a Shearing Shed where we had lunch and also shown how to pick up the wool after the shearer finishes then thrown on a table and shown how to take out the unnecessary bits. Laurence had a go while Di shore a sheep it was really awesome. Now for Term 1 for this year, I have 9 at this moment starting a night class 20th Feb Thursday night from 6.30 - 9pm they all vary. 2 Kura Kaupapa, 3 MPS, 2 Ko Te Aroha, 1 Hine Te Aro Kohanga Reo, 1 Maori Warden there is a possibility we could have 1 from Lakeview making 10 all up. Stepping Up classes have already started again. Graduation will be on 16th April Wednesday night @ 6pm held at Reap House for now.